Southampton Tram No. 45- Open top-Journey to Floating Bridge.Electric cars ran in Southampton from January 1900 until the end of 1949. No. 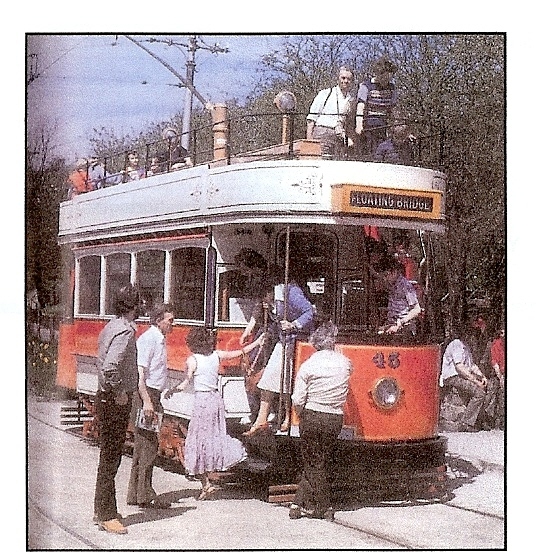 45 was purchased by enthusiasts & eventually went to the National Tramways’ Museum for preservation & use by visitors to enjoy rides. Tram No. 11 was one of the first to pass through the Bargate. Southampton’s ‘Tram 57 project’ have spent much time & effort to preserve some trams with the object of seeing them again on our City’s streets. They did pass through the Bargate. 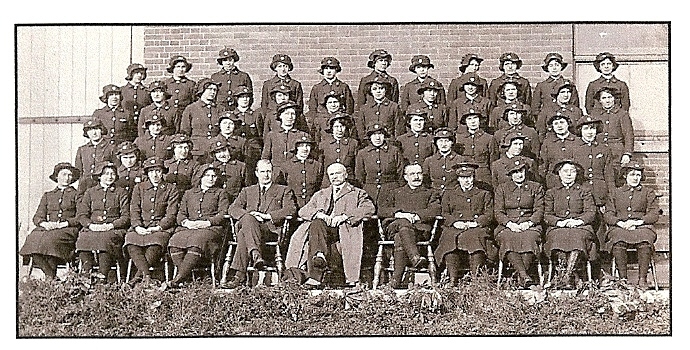 Women Conductresses who served the trams in World War 1 . 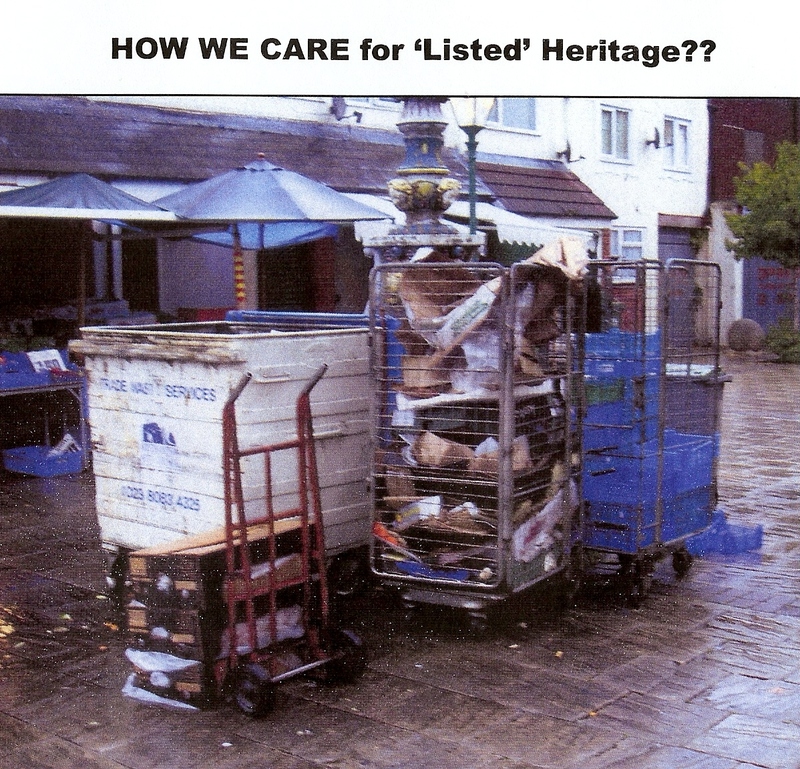 Courtesy – Hampshire County Magazine-Vol.26.No.11. 1986. The above Spitfire monument was selected from many public submissions by the ‘Spitfire Tribute Foundation’ designed by Australian Nick Hancock.It is hoped to raise 2million pounds from public donations. The monument almost as tall as the Statue of Liberty. 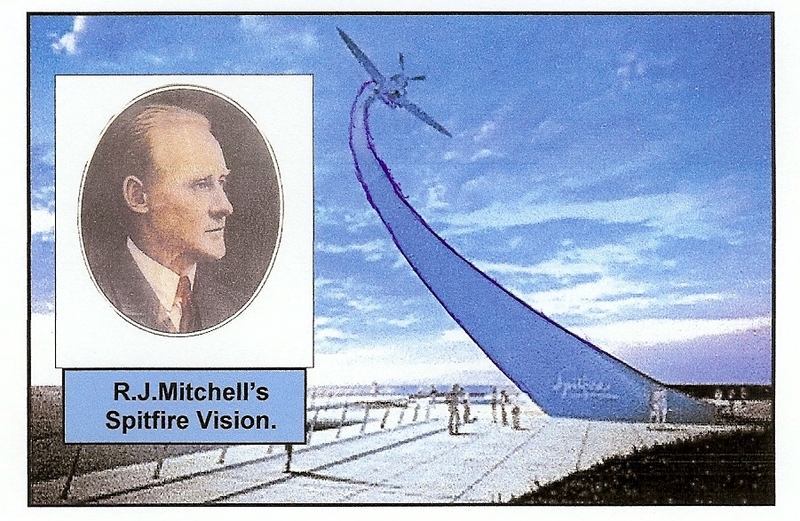 site, at present infilled ).‘R.J.Mitchell’ views the proposal to his Spitfire creation. NB. No doubt consideration has been given to possible aircraft passing overhead & illumination? Courtesy Southern Daily Echo; the late Gordon Mitchell. **Jonas Nichols Fountain-How We Care?.(26). 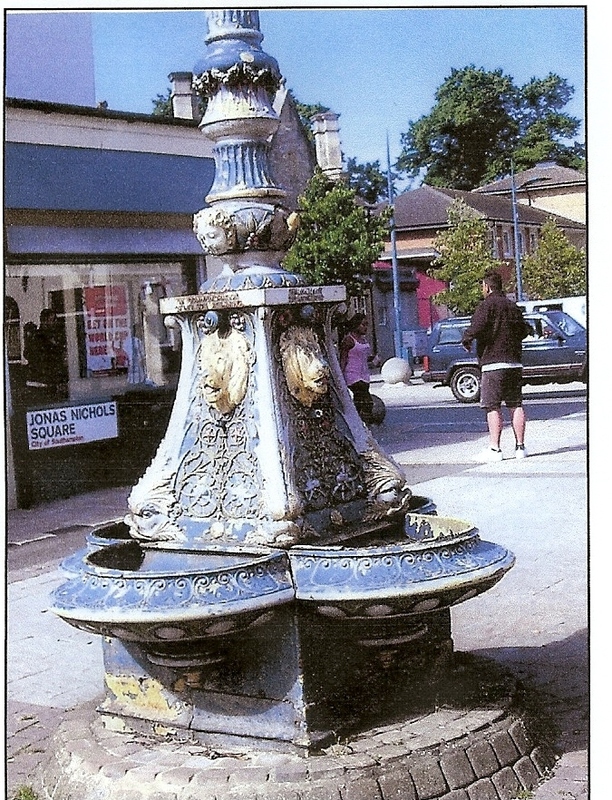 Latest news– City of Southampton Society has offered ( 5/1/2012 ) to donate up to £5000 towards agreed repairs to this -Listed Grade 2- Commemorative Feature. 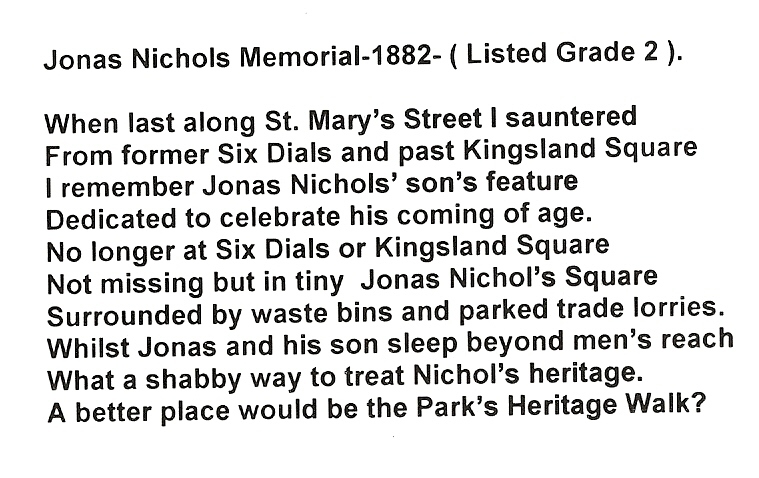 Funds available from the Queen’s Peace Fountain Public Appeal. Frequent Court Leet Presentments since 30/9/2008 ( Council reply ” No funds in foreseeable future-not high priority”). 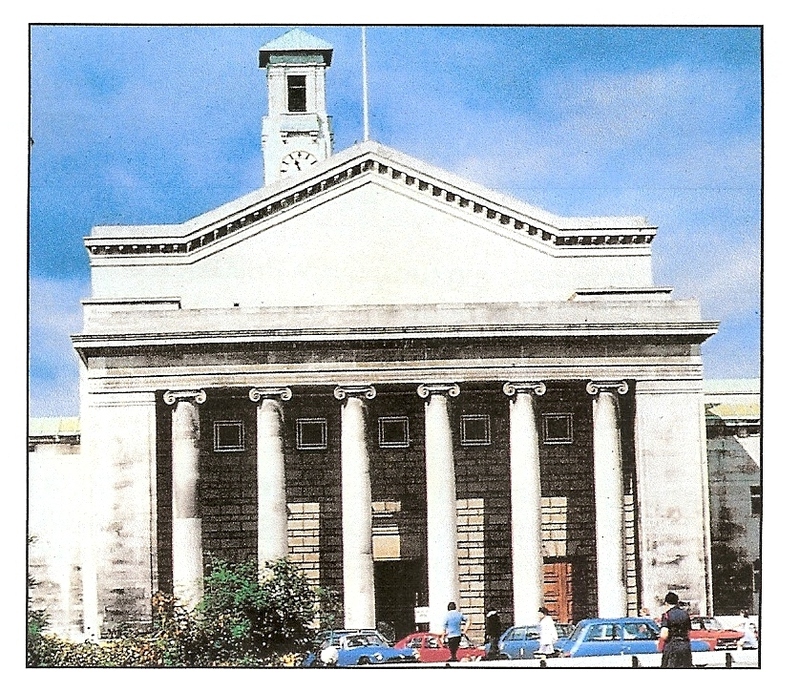 Southampton’s Guildhall is a fine multi-use facility opened by the 17th. Earl of Derby on 13th February 1937. Thanks to the vision & drive of Sir Sydney Kimber & skill of architect-E.Berry Webber. The proposal to appropriate the Marlands site was approved by the Town Poll-28th. January-1929.The Bill in Parliament passed , Royal Assent in July 1929. After 51 years of discussion construction began in March 1934, costing approximately £150,000. The floor of the Hall is of Canadian Maple & is sprung for dancing. 144 feet x 72 feet wide x 48 feet high, plus stage. Seating approximately 1,500 people. The organs (2) originally below stage, more recently in front of the stage. Well known organist-Reginald Porter-Brown-performed. Famous artists who performed included Paul Robeson; Gigli; orchestras; Vera Lynn. Harold Jackson-Seed was Manager-1936-1963. Dancing to Bert Osborne’s band was always a joy. Fortunately the Guildhall escaped WW2 bombing. Currently-(2011) managed by outsourcing arrangments.